The Rebel Sweetheart. 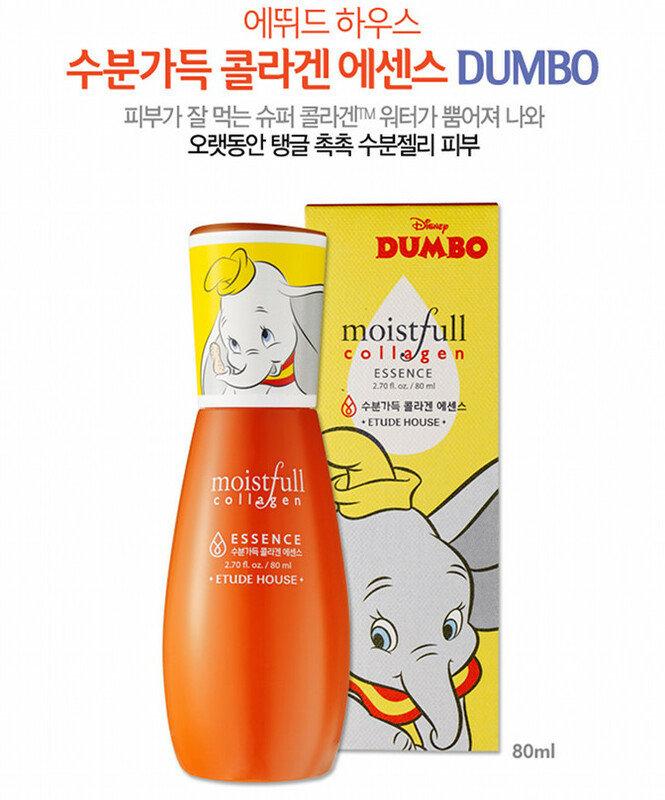 : Sneak Peek | Etude House x Disney Dumbo Collection. 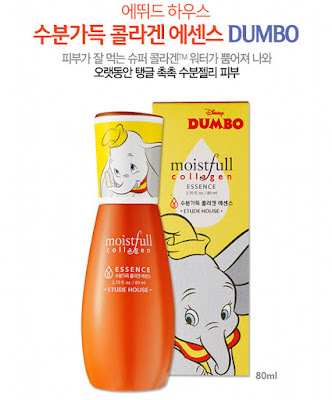 Sneak Peek | Etude House x Disney Dumbo Collection. 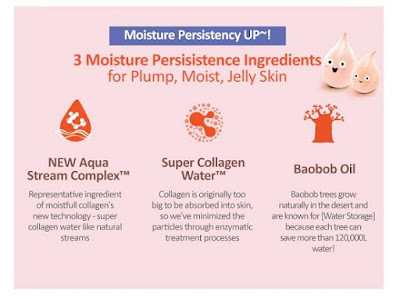 My favorite skincare line from Etude House, the Moistfull Collagen, just went through a huge change. And by huge, I mean 'Dumbo' huge. 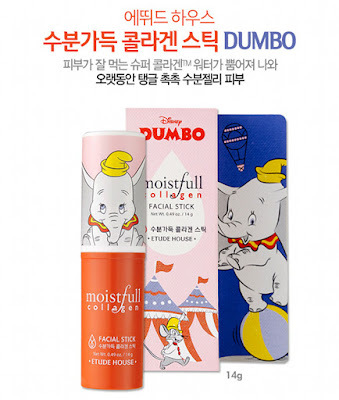 Etude House x Dumbo collection. 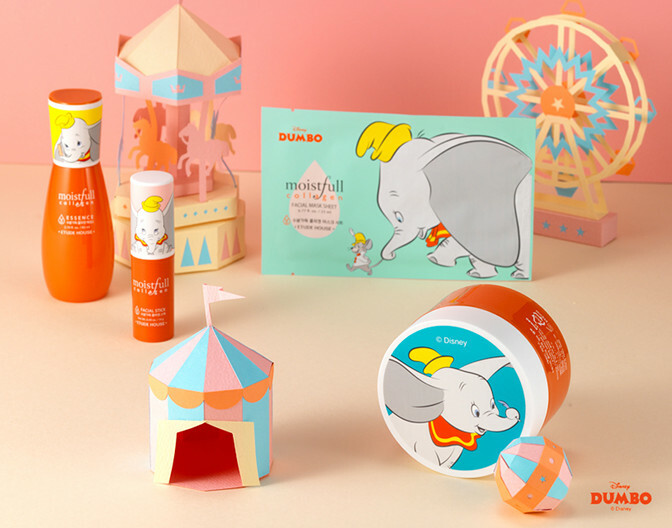 Dumbo, the young circus elephant with comically large ears, is the star of the most recent collaboration project between Etude House and Disney. 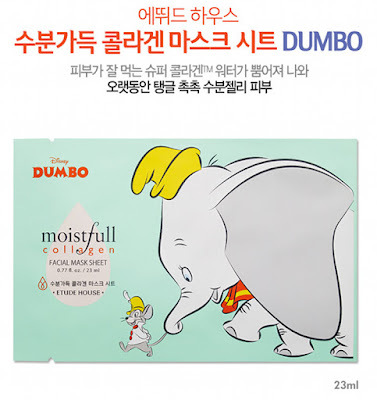 Released earlier this month, the Etude House x Disney Dumbo Collection features four best-selling items from the Moistfull Collagen line in an all-new 'Dumbo-fied' packaging. 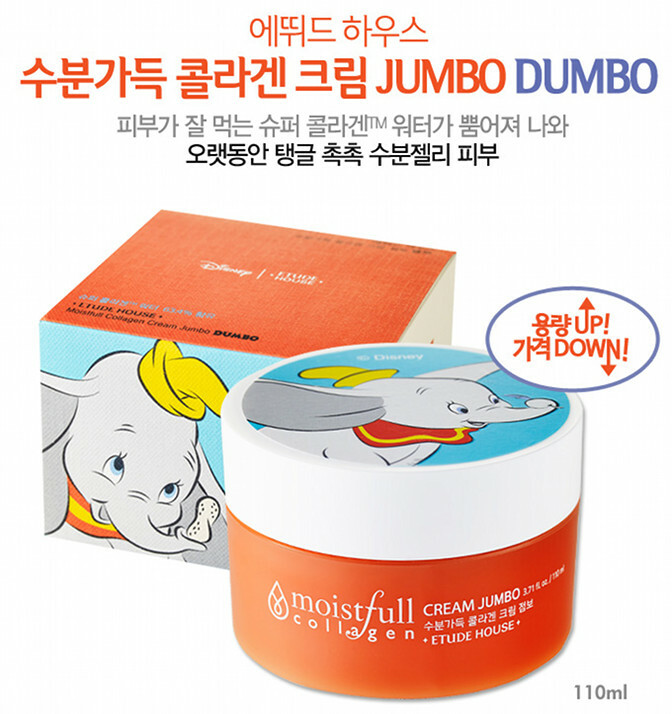 Moistfull Collagen Cream Jumbo, 15980 won. Also included in the collection are the following Moistfull Collagen favorites. Moistfull Collage Essence, 15980 won. 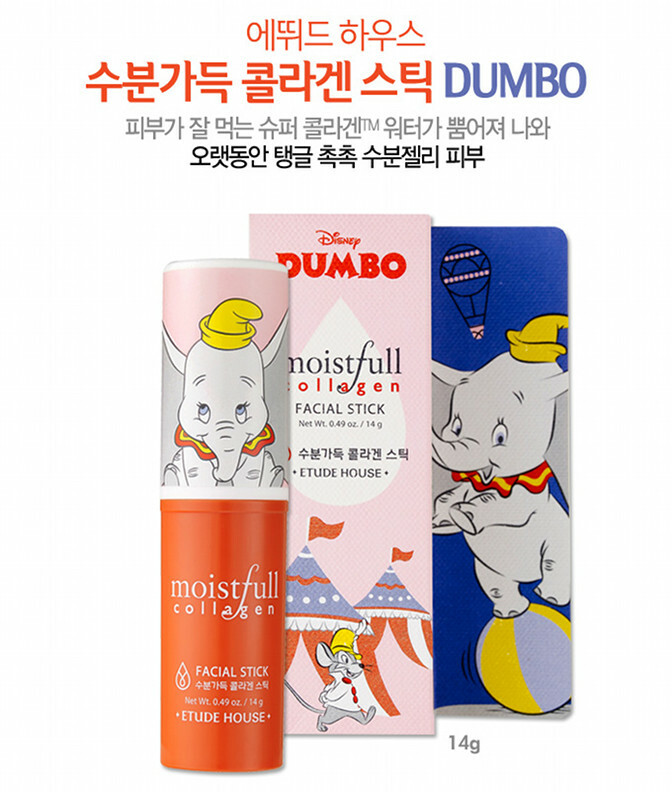 Moistfull Collagen Stick, 9400 won. Moistfull Collagen Mask Sheet, 1880 won. This limited edition collection is now available at Etude House stores across South Korea and at the Etude House global website. Dumbo is one of my favorite Disney Character, anyways it's cool that etude have a very nice products like this featuring Dumbo, it's so cute. What an adorable choice for etude! 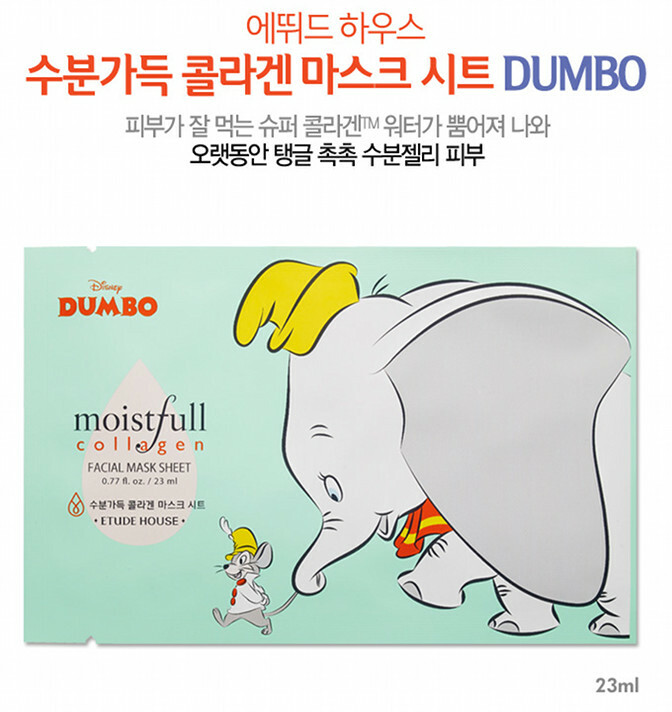 Dumbo is one of the characters I grew up with and I don't mind having him on my skin care products, without a doubt! Etude has a lot of beauty essentials and makeup things that's really worth it. This is cute. 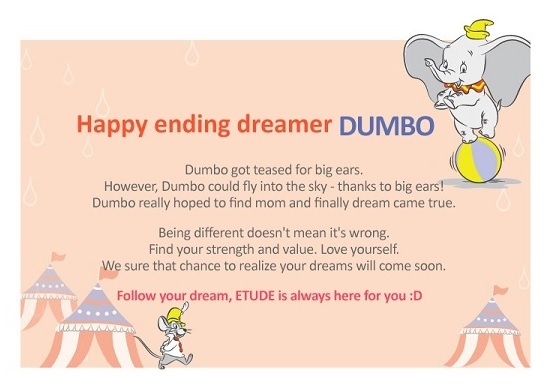 I've always been a big fan of Dumbo. Wow! I love everything at Etude. This look so cute, I used to watch the film when I was younger. My Top 10 Must-See Korean Movies. Seoul Searching | Ewha Womans University. Sneak Peek | Tony Moly ❤ Pokemon Collection.